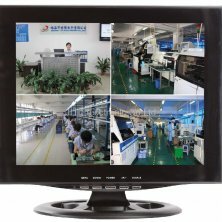 CCTV and video equipment is a powerful surveillance tool which is becoming increasingly popular in both business and home situations. Acting as both deterrent and criminal evidence, it is an essential addition to your security facilities. We offer a range of CCTV systems to cover all domestic and business requirements from a basic one camera package for home and small retail use; to multi camera packages for small businesses and larger retail outlets; through to complete surveillance packages for businesses incorporating continuous security surveillance operations. BS EN 50132 Planning, Installation and Maintenance of CCTV (where required). Every business with CCTV facilities must now comply and register under the Data Protection Code of Practice. Our expert advisors will ensure your system is built and installed to these requirements and that you have the knowledge and tools to meet these new regulations. Service and maintenance is an essential element to help you meet your obligations when using CCTV footage as evidence. Our expert advisers will be happy to advise you of the service and maintenance packages we offer. Contact us to discuss all your CCTV requirements.